​Latest Update: Registration of Power of attorney for property in Delhi has started once again. Sale of properties in all colonies of Delhi can now be done through Registration of Power of Attorney (GPA), Will, Sale Agreement. A Power of Attorney is a documents that is used to give authority to somebody else to legally act on behalf of the owner of the property. It is commonly used for the sale and transfer of properties in regularised or unauthorised colonies in Delhi. 1. Power of attorney is drafted. 2. Stamp Papers have to be purchased. 3. Both parties i.e. seller and purchaser have to come to the sub registrar office for registration along with their photographs and Identity Proof. 4. Registered GPA is collected from the office. Our company provides services for the Registration of General Power of Attorney (GPA) . For registration of GPA in Delhi, you may contact us at +91-8800418408. 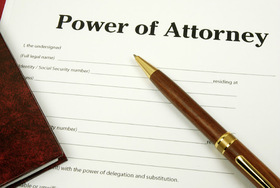 Need assistance in Registration of General Power of Attorney ? Leave your details here and we will get back to you.